"The one thing I have always loved about Byron Bay is that there are ample and delicious food options for vegetarians such as myself. For diners like me, it is not always easy to find satisfying vegetarian options when travelling, so when visiting Byron Bay I take great comfort in knowing that in just about every cafe and restaurant, there will be at least one item on the menu for me to enjoy. 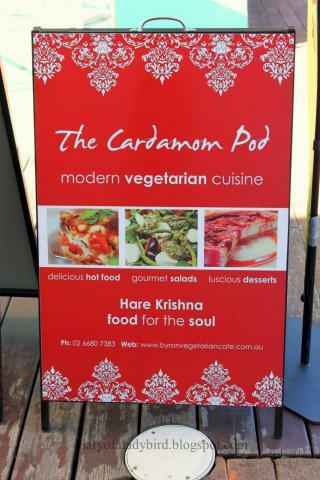 But a real highlight for me when visiting Byron is dining at The Cardamom Pod - a fantastic little vegetarian cafe tucked away in an arcade in the town centre...."